Bed Type There are 20 products. 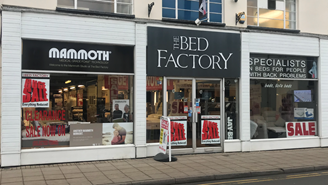 You get Free UK Delivery with all our Electric Beds along with bedframe and motor warranties across the board - see specific models for details. In our increasingly modern age the bedroom is more and more becoming a multi-functional space as opposed to just a room to sleep in. This is definitely a factor that has led to an increase in the popularity of Electric Beds. More and more people use the bedroom to watch TV or to work on laptops and play games consoles activities that are made more comfortable when the mattress can be raised slightly. And we’re offering a Free Bedding Pack on orders over £500. There are also certain medical conditions that benefit from raised sleeping positions or help to physically get in and out of bed. Our range of electric beds is specifically chosen to cater for all tastes and a number of different usage requirements. We have a range from familiar divan-style models to more traditional bedstead designs all at very reasonable prices. The Francesca Adjustable Electric Bed Frame for instance comes in a choice of 53 colours with two separately adjustable mattresses, (either Visco or Pocket), an optional massage system and a 10 Year Frame Warranty and 2 Year Warranty on the Motor Unit. Whereas the Sasha Electric Divan is a single bed that comes with a deep base unit that's great for storage purposes, it has adjustable tension slats for maximum comfort, an optional massage unit, a 10 Year Frame Warranty and 2 Year Warranty on the Motor Unit. For further information on our range of Electric Beds for Sale please call our friendly Sales Team in the Midland on the Freephone number provided. This department has all the metal beds we have to offer here at the bed factory. Our range of ottomans starts at just £179. And we offer Free UK Delivery across the whole range as standard with a Free Bedding Pack worth £174 pounds on orders over £500 - all at the simple click of a button. Along with a full 12 month guarantee on the vast majority of Ottomans we sell. You'll struggle to find a better deal on Ottomans anywhere else on the internet. The extra storage space that an Ottoman offers you is definitely the main benefit of buying this type of bed. And, they're discreet of course, in fact with many of the hinged top models you wouldn't necessarily even know there was storage at all. We have a variety of styles from the more traditional to the modern and contemporary meaning there's something for every home. Perhaps the most impressive offering is the Windermere TV and Ottoman Bed combined. This has a concealed media compartment, a side lift mechanism with floating floor storage area and it can accomodate TV's up to 40" - all for under £1500. At the lower end of the spectrum you may want to look at the Prado Faux Leather Storage Bed with easy gas lift mechanism which makes accessing the storage area a cinch and the mattress area has sprung slats for greater comfort and longevity. All this starting at just £179 - an absolute bargain. In the mid-range there's the Venice Faux Leather Ottomans. Their modern design includes 28 cubic feet of storage space and there are sprung slats for added comfort and longer lasting quality in general. Have a look around - we're sure you'll find something you love. For further assistance with our range of Ottomans please call our Showroom on the Freephone number provided. This is the department that shows all the wooden beds the bed factory has to offer. Z Beds and Folding Beds for Commercial and Domestic settings. Z Beds and Folding Beds provide a solution and serve a definite purpose. This means they need to have a reasonable price tag as they're not a piece of home furniture that is necessarily on display regularly. 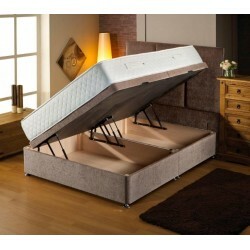 Our range of Z Beds and Folding Beds start at just £99. They allow you to accomodate extra people in the house overnight with minimal use of space. And of course when not needed they store discreetly out the way. This means they have to be practical with a design that adapts itself to a large variety of home decors. And, of course, they still need to be comfortable - no one likes the thought of their guests being uncomfortable when they stay over night. All our Z Beds and Folding Beds come with a 12 month guarantee and are delivered free in the UK. We have a range that is first and foremost practical and well constructed whilst at the same time we aim to offer enough variety to cater for a range of different budgets and tastes. If price is your most important consideration you may want to look at the Evo Airflow Z Bed with an ultra-slim design that can be stored virtually anywhere when folded shut it also has a sprung, slatted base that offers great comfort. The Airflow Fibre Mattress has an open cell structure that means it stays fresh for longer. However, if you want something with a bit more character and luxury then something like the Jay-Be Z Bed with its super lightweight anodised aluminium frame, memory foam mattress and exclusive J-Lok mechanism for easy folding. One of our best options for Contract Buyers in Hotels and the like is the Crown Windermere that's built to last with a heavy gauge, mild steel construction frame and anitmicrobial, urea resistant mattress - it's perfect for regular commercial use. A Classic bedstead that features a shaker design which presents crisp and clean detailing. A guest bed can also be placed underneath the bed, which also provides as a wonderful storage space. Freya is a stylish bed and a new addition to the Hevea Collection. Serene have included the shaker design with additional detials such as clean and crisp lines which give this product depth. Available in all standard sizes and in a choice of Honey Oak or Opal White finishes. Available in sizes from 3' to 6' and in colours; Opal White and Cherry. Grace is an elegant name which would best describe the whole range of delightful beds and bedroom furniture. Mya Bed. Clean, crisp and exquisite detailing in a present-day style and in a choice of Honey Oak or Opal White finishes gives the Mya one of the best apperances in the range. The Bianca is a beautifully crafted bed frame that would compliment any bedroom.